The Board of Directors of intelligent factory automation solutions provider Fastems Oy Ab has appointed the company’s current Deputy CEO Mikko Nyman, (40), M.Sc. (Econ. ), as its new Chief Executive Officer, effective May 1, 2019. Current CEO, Tomas Hedenborg, will continue as an advisor to the Board of Directors, as well as support Nyman in his new role until the end of the year. The newly appointed CEO Mikko Nyman has worked at Fastems as a Business Unit Vice President since the beginning of 2017 and as Deputy CEO since the fall of 2018. Earlier, he was Fastems’ CFO and has been serving the company since 2014. Before joining Fastems, Nyman worked in financial management within international industries and IT. “Fastems has experienced strong growth since 2016 and expanded its operations from machine automation for the metal cutting industries to intelligent factory automation software design. During the recent years, Tomas and Mikko have worked closely together to lead Fastems, and, together with the staff, have set the company on a strong growth track. I am convinced that Mikko is the best possible person to take Fastems to the next phase”, says Kai Öistämö, Chairman of the Board of Fastems. “I am grateful for the Board’s confidence and eagerly look forward to continuing our great progress as a productivity partner for our industrial customers. Combining the best solutions and services for our clients with the most skilled professionals in the industry will be our key to success in the future as well. Above all, my job is to enable the success of all Fastems employees, so that our customers get the best service in the industry”, Mikko Nyman says. “On behalf of the entire Board of Directors, I want to warmly thank Tomas Hedenborg for his contribution to the company; first as a member of the board since 2006 and as CEO since 2013. During his leadership, Fastems has achieved an international growth track and created a strong foundation for the future. 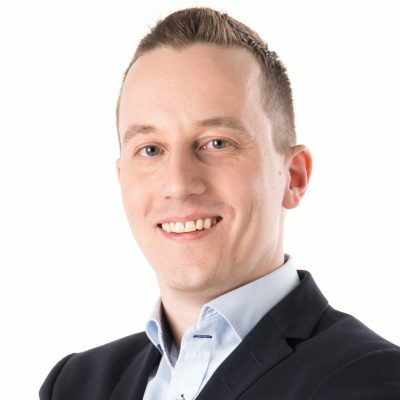 Tomas’ support as an advisor for Mikko and the Board of Directors until the end of the year is invaluable, as we want to make the transition as smooth as possible for the whole Fastems organization”, Kai Öistämö continues. According to Mikko Nyman, the utilization of digitalization in the manufacturing industry is still in its early stages. The future of industrial manufacturing will be about small production batches and flexible automation that aims to increase efficiency. Fastems is already strong in these areas. ”The core of our competitive edge is in intelligent factory automation systems that enable better optimization and scheduling of manufacturing. Our uniqueness lies in being able to provide the best software, hardware and services in the industry in the same package. Our turnover has grown by more than 45 per cent since 2016 and we have recruited over 50 new automation experts each year. Simultaneously our subcontractor network has created jobs with a similar pace. With this highly-skilled and expanding group of talents we want to help secure the competitiveness of industrial companies in our main markets in Europe, North America and Asia”, Mikko Nyman finishes. Founded in 1901, Fastems delivers intelligent factory automation solutions that help metalworking manufacturers to increase their productivity. Its industry-leading control software and the capability to integrate any industrial machine tools into one entity, combined with its broad service selection and decades of experience is what makes Fastems unique. Fastems mission is to build a world where the manufacturing industry is a cornerstone of success and a source of sustainable well-being in the society. Fastems has delivered over 4 000 installed systems to its main markets in Europe, North America and Asia. In 2018, the company’s turnover was 90 MEUR and it employed 450 people.